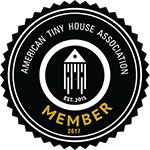 Following the recent St. Pete Tiny House Festival, we received several calls about the tiny house movement, the climate for them in Florida, and what the near future holds for micro-housing. One call was from Janan Talafer with 83 Degrees who wanted to chat about the primary forces pushing tiny house options in the Tampa Bay area. We had a great conversation about the demand we’re seeing and how that compares to the obstacles in place from a variety of forces both nationally and here in Florida. What’s the appeal? “Tiny houses offer many opportunities for people to have access to affordable housing, “says Ginger Reichl, CEO of Parvus House, a St. Petersburg company that designs them. You can read the complete article on the 83 Degrees website.